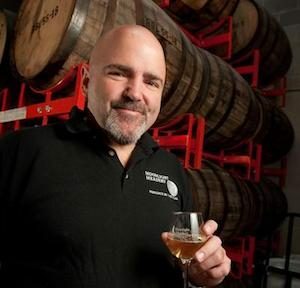 2-5-19 Our guest tonight is Michael Fairbrother, owner of Moonlight Meadery in Londonderry, NH. Back in 1995, Michael tried a cyser (apple and honey mead) for the first time. Since that first sip Michael has developed a passion, and a single minded dedication to making international award winning meads. After being recognized as New England’s best mead maker for three consecutive years, Michael quit his full time day job in 2010 and progressed from moonlighting as a mead maker to full time production – he has not looked back. Michael will be speaking at the AMMA MeadCon on March 12-14 in Broomfield, CO on distributing commercial mead. Michael has been working with distributors since 2011, and has 8 years of finding, changing and working with distributors. Anyone who has dipped into distro knows that it can be a very frustrating experience. Michael will give us a taste of his talk for the AMMA. Then we’ll drag him off to talk about some pretty awesome braggots he’s made in the past during his home meadmaking days, and rumor has it, may be coming out in their lineup. We’ll talk shop, methods, and flavors, and dig into the mead (of course).